Letterio Pirrone started his career in 1987 at the ESA (European Space Agency) in Belgium where he was in charge of the In-Orbit Tests of the ECS 5 and Olympus satellites. 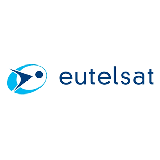 Joining EUTELSAT in 1990, he supervised the EutelTRACS satellite network for mobiles in collaboration with Qualcomm Inc. and the EUTELSAT broadband data networks (DSAT and DSTAR) with Comsat Labs. From 2004 he participated in the creation of EUTELSAT-owned satellite broadcast and broadband platforms at the Rambouillet Teleport and led the Commercial Services Team. From 2009 to 2012 he developed the Digital Cinema business within EUTELSAT encompassing the delivery of digital films and the distribution of live events across hundreds of cinemas across Europe. Since 2012 Letterio is the EUTELSAT Director of Customer Relations. He is the voice of Customers within the EUTELSAT Group and ensures the coordination of all actions aimed at continuously improving EUTELSAT services for customer’s satisfaction and loyalty. Letterio holds a Master of Science in Electronic Engineering and Telecommunications from the University of Pisa, Italy and an MBA from HEC (École des hautes études commerciales) in Paris, France. Check out the incredible speaker line-up to see who will be joining Letterio.